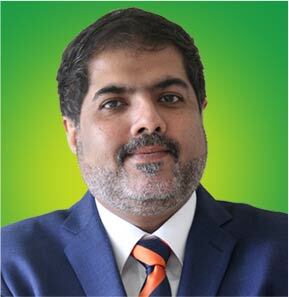 Amar Zafar Khan is a qualified Chartered Accountant, with over 30 years of multi-functional experience at premier international financial institutions. His experience covers general management, directing turnarounds and developing new ventures/businesses in commercial banking, investment banking, domestic and cross-border corporate finance and securities trading, including exposure to markets in Europe, the Middle East and Africa. He as rich experience & knowledge of wide spectrum of financing solutions. He has served as the Chairman & CEO of "United Bank Limited" - one of the largest bank in Pakistan. Hussain is the CEO of EcoPack Ltd and has over 40 years of business experience including running a private limited company in Karachi manufacturing flexible plastic packaging. He is the founder chairman and CEO of EcoPack since the company's inception, and continues to strategically lead the company's growth in key areas such as corporate relationship management, as well as new opportunities for product diversification in both domestic and regional markets. Prior to founding EcoPack, Hussain was successful entrepreneur trading packaging materials such as cotton bags, polythene liners and jute bags, and later started a career in industrial manufacture of packaging products. Hussain is an honours graduate from the University of Karachi. 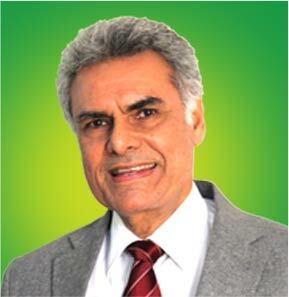 Non-Executive Director Shahid Jamil qualified as a member of the Institute of Chartered Accounts from the UK in 1967 and became a member of the Institute in Pakistan in 1968. He then became an international banker working in Pakistan, Luxembourg, United Kingdom, Egypt & United Arab Emirates. His last position with bank was as Executive Director at First International Bank Ltd., in Pakistan. As a non-executive director on the board, he shares an international perspective and supports the internal audit role of KPMG at EcoPack Ltd. He also supports the company's effort to achieve a cost effective turn around to become a profitable and sustainable business which maintains manufacturing employment in Khyber Pakhunkhwa. Ali Jamil has been a finance and mortgage adviser in the United Kingdom with over 45 years` experience in property and finance .He has been a sponsor Director of EcoPack Limited since its inception in 1992 and has served on EcoPack`s board for several terms. He is trained from the Plastics institute in the UK and has a good understanding of the technical and marketing aspects of various plastic materials and processes. Mr Ali Jamil worked in the family business of `blown film extrusion and flexographic printing `for several years before he assisted in setting-up EcoPack Limited. Asad is on the Board as Non-Executive Director since the year 2007, he has done his MBA from IoBM(Institue of Business Management - Karachi). He possesses 26 years of rich experience in financial sector of Pakistan with special focus on Leasing, Islamic Financing and compliance in addition to the conventional banking. He is presently working as the " Head of the Compliance" with Orix Leasing Limited. His presence on the Board has added great value to EcoPck Ltd. He has been pivotal in establishing good corporate practices in the organization. He is also th Chairman of the Audit Committee and contributing greatly towards compliance and good governance of the company. Talat Sadiq is a graduate of Cornell University, in Ithaca, New York, USA. He has joined the board of EcoPack Limited in February 2017. In his long and varied career, Talat has worked at senior executive positions at Fortune 100 companies like Citibank based in London, Sun Microsystems, Dell Computers, and McGraw Hill in the USA.. He has also led several startup companies in Silicon Valley, California since their inception to either a successful IPO or an acquisition & assisted such companies raise additional funds to fuel higher levels of growth to continue their success”. Laila Jamil is a non-exective director on the Board of EcoPak Limited and on the Audit Committee. She is also chair of the HR and Remunerations Committee. She completed her bachelors in history from Reed College, Portland Oregon, USA and has over 14 years of work experience in running an SME business in Karachi before joining the social sector. She has worked for the Sindh Transplantation(SIUT) as head of Resource Generation and Outreach and at Aman Foundation as General Manager Programs Development. Laila now works for the British Council as Senior Consultant Business Development and is responsible for source opportunities and fostering partnerships for the Arts, Youth and Education Programs.